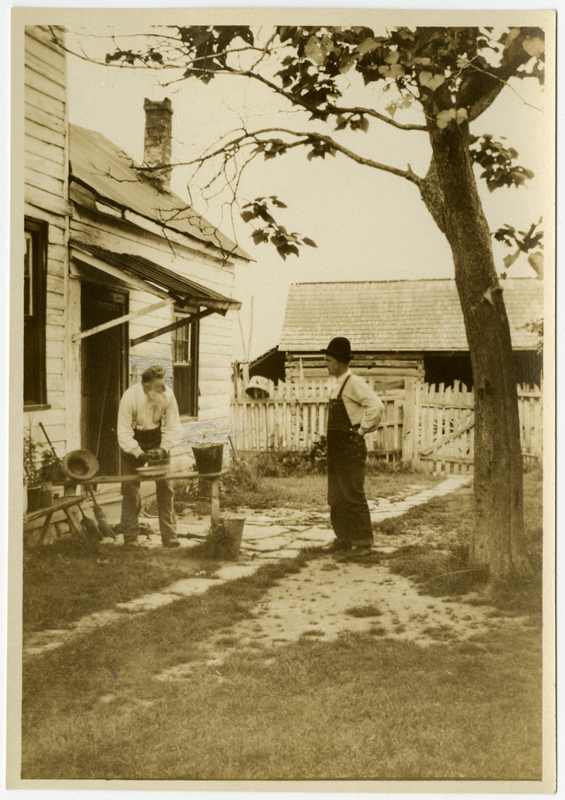 Two white men stand in a yard of a house. One is bending over a wooden bench washing his hands in a small basin. A pail stands on the right of the bench and another on the ground. Two brooms lean against the house on the left and a fence separates the house from a barn in the background. Johnson, Clifton, 1865-1940, “Washing his hands and face,” Digital Amherst, accessed April 23, 2019, http://www.digitalamherst.org/items/show/5147.